Operationalising Industry 4.0 is yet more challenging and complex. Digital transformation is now a matter of how, how quickly, how much and how in practice. 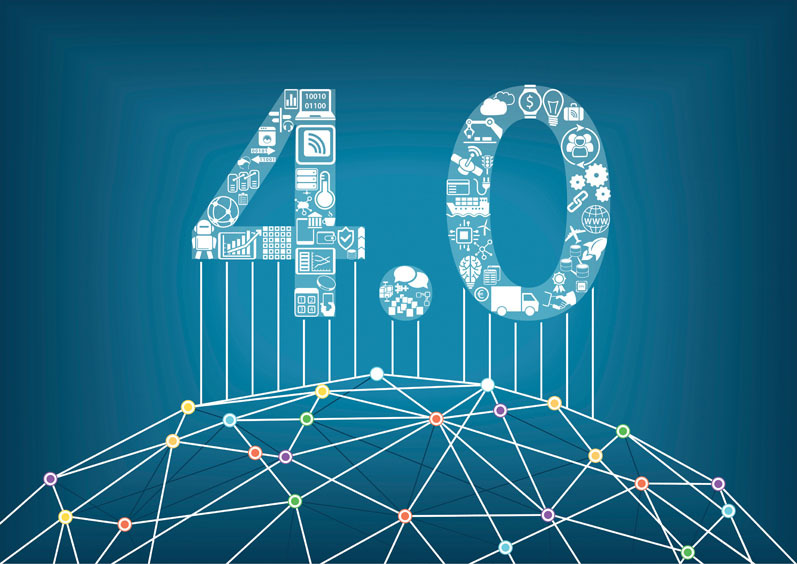 Moreover, there is the issue of how to implement Industry 4.0 in a commercially sustainable way, with investments focused on digital transformation that truly deliver measurable commercial and competitive benefits with time. Moving from a relatively analogue manufacturing environment to a digitalised one is potentially very disruptive to a business. What, specifically, do we mean by digital transformation in pharmaceutical manufacturing? What are the practical examples that illustrate more precisely what the reality of digital transformation looks like? First come productivity improvements. Handling sensitive production environments means that pharmaceutical plants are prone to production outages. The slightest non-compliant anomaly has to be investigated and corrected before production can be resumed. Therefore, digitalising that production environment gives both early warning systems and rapid analytics to get to the root of a problem. Equally, predictive analytics about compliant production environment tolerances can pre-empt those tolerances being breached, so that planned corrective action avoids unplanned downtime. According to experts, this can reduce downtime by as much as a third. By the same token, the digitised environment also brings massive benefits in terms of compliance monitoring and auditing. The financial and reputational impact of compliance errors and product recall can be enormous — even if that non-compliance is confined to something as simple as packaging errors. The transparency that digitised production allows, along with the concomitant greater levels of automation, generally improve monitoring sensitivity and reduce human error. 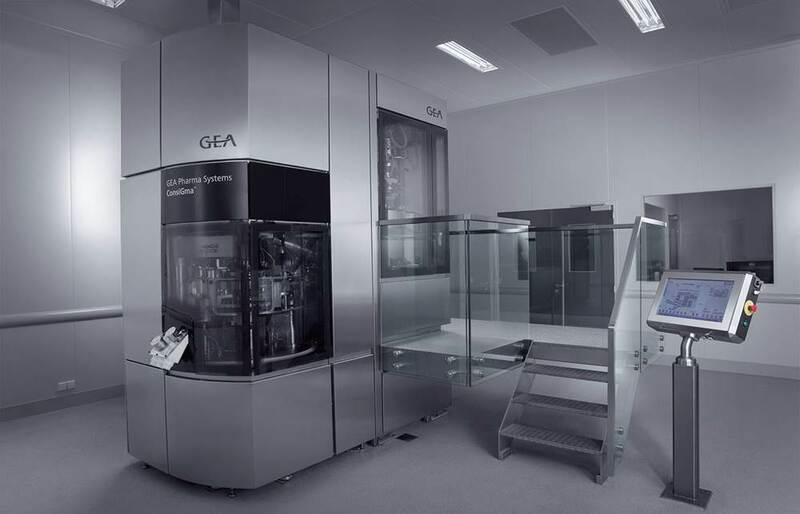 Digital sensors for visual, environmental, temperature and chemical monitoring throughout a pharmaceutical manufacturing process also help to automate compliance reporting that previously would have involved expensive manual monitoring (although a supervisory level of human audit and inspection will always be necessary). 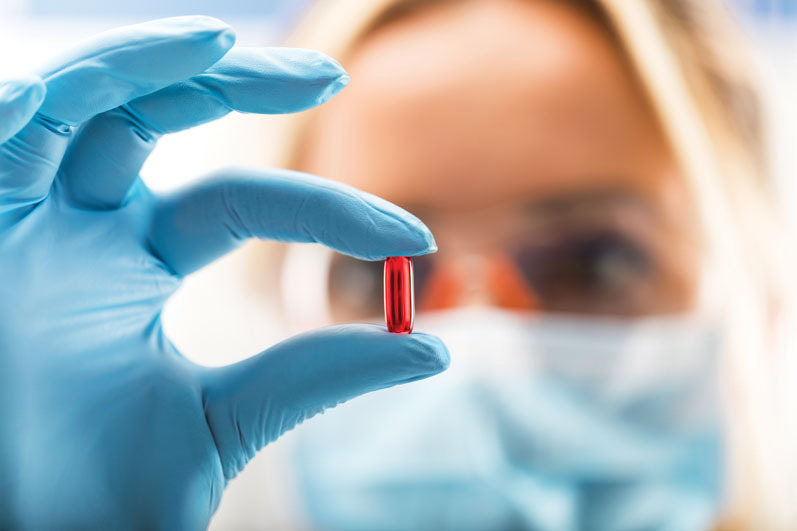 This reduces the cost of compliance — moving human intervention to spot checks or exception alerts — and triggers early intervention, thereby minimising the cost of potential contamination, formulation errors or other factors that might cause process shutdown. 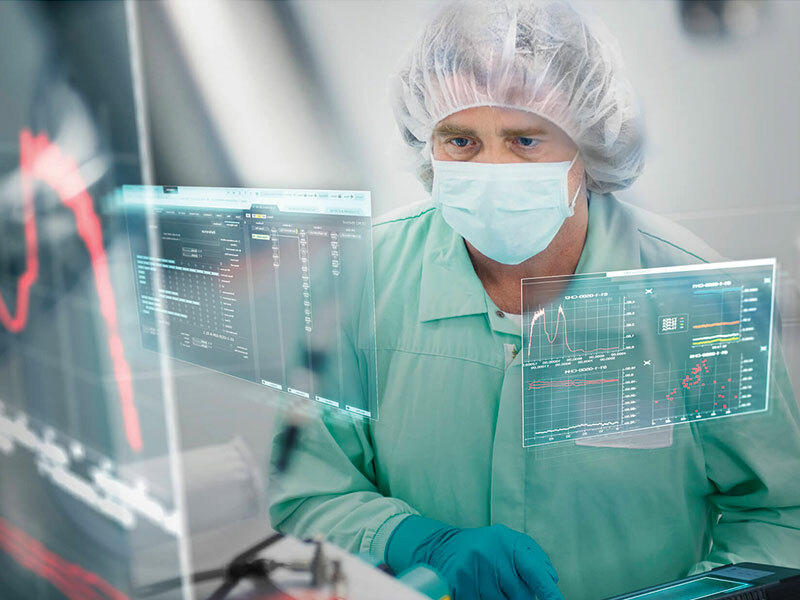 There are a variety of other benefits of digital transformation for pharmaceutical manufacturers that are either already happening in practice or are under development. These include supply chain integration, fraud detection, predictive demand-supply alignment, individual therapy production and much more. 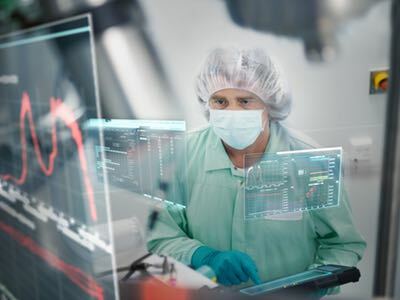 However, the major question for pharmaceutical organisation boards is how to make the considerable investment required for digital transformation in a way that is financially and commercially sustainable. This is especially relevant in a sector wherein companies want to reserve their own accumulated capital for tactical growth initiatives (a sales drive, an acquisition, an R&D project) rather than tying it up in technology. A growing reliance, therefore, is now being placed on the chief financial officer (CFO) to enable digital transition without undue strain on the business. 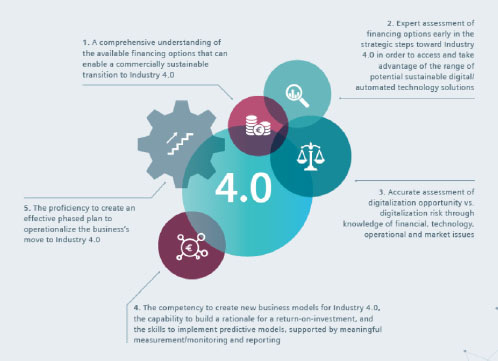 Respondents to Siemens Financial Services (SFS) research — manufacturers and expert management consultants — have firmly emphasised that planning for Industry 4.0 needs to start with a comprehensive awareness and understanding of the available financing options. 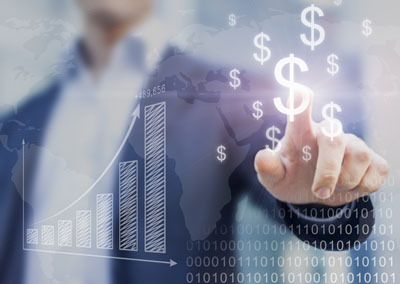 Appropriately applied financing solutions can enable a wider range of Industry 4.0 options for a business making its options more financially sustainable in a sector wherein slim profit margins are often the norm compared with other industries. CFO 4.0 is the creator of a growing number of lead indicators for the business, as well as the master of measurability, according to one survey of manufacturers — with priorities including connecting workflow and production processes, medium- to long-term thinking to anchor the digitisation agenda across the board and better transparency and higher control through digitalisation. How, then, does achieving such objectives translate into the key set of competencies for Pharma CFO 4.0? Our research respondents were able to identify five principal capabilities that characterise CFO 4.0. They are described in Figure 1 in no particular order of preference. Why are CFO 4.0 competencies so important? Because the commercial benefits that CFO 4.0 can enable are considerable. Reference to research conducted by SFS helps to quantify the bottom-line gains that digital transformation is likely to deliver, made possible by the appropriate application of the competencies engendered in CFO 4.0. The majority of manufacturers and industry experts interviewed (including pharma companies) for the SFS research confirmed that the ability to increase manufacturing productivity is a universal starting point to determine the measurable value from digitalisation. The SFS research revealed that by automating and digitalising production systems, manufacturers can expect to make production productivity gains equivalent to between 6.3% and 9.8% of their annual revenues. Termed the Digitalisation Productivity Bonus, this gain was identified by respondents as an extremely reliable starting point to make a business case for investing in Industry 4.0 technology upgrades. Previous research work by SFS has estimated the baseline Bonus to be at least £900 million for the UK industry alone. Of course, once harnessed, the Digitalisation Productivity Bonus will be applied in different ways in each organisation — from returning value to pharma company shareholders and increasing investment in drug innovation to driving more competitive market positions. The requisite set of modern, holistic, analytical and commercially minded skills already being displayed by pioneering CFOs in the sector are making digital transformation and its attendant competitive benefits a reality.